There are a number of steps that must be taken before opening the doors to a day nursery, one of the most important being to secure health insurance for employees and nursery insurance to cover the children and the business itself. Many insurance carriers are able to provide business owners with an accurate quote over the phone or through their internet site, making it easy to shop for the best priced policies. Insurance is one of those purchases that you hope you'll never need to use. 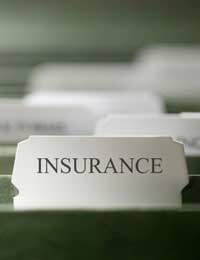 Ideally, owners of day nurseries never suffer losses at their business sites that require them to file claims with their insurance companies, but unfortunately, many claims are made each year. Being prepared by having sufficient coverage to protect business owners from loss is not only a smart business practice, but is a requirement for many. Consulting with knowledgeable insurance brokers an help nursery owners to be sure that they purchase policies that give them all of the coverage they'll need, because being underinsured is almost as bad as being uninsured. What is Included in Nursery Insurance? The term, "nursery insurance" often covers a number of types of coverage, from insuring the building and its contents, to providing coverage for children and employees, should they be injured on the premises. Additionally, some insurance covers business owners from losses incurred in the event that the must temporarily close due to unforeseen circumstances, such as damage to the building or a loss of registration. This coverage can be vitally important because if, for example, a building is rendered uninhabitable due to storm damage, the insurance would not only pay to rebuild, but would also compensate for loss of income while the repairs are being made. Employee benefits can be great incentives to garnering employee loyalty, so providing medical and dental insurance can enable nursery owner to minimise staff turnover. Small business insurance, which would likely be appropriate for most day nurseries, can provide a number of different types of coverage for employees, and if the employer chooses, coverage can be extended to include the families of employees. Costs can vary a great deal depending on a number of factors including the number of employees and levels of desired coverage. Private Medical Cover: This will provide employees with coverage for private medical care, as opposed to NHS care, giving them faster and easier access to treatment. Critical Illness Insurance: While this type of coverage may be costly, it protects employees in the event that they become seriously ill, even if they are able to work whilst seeking treatment. Income Protection: This type of insurance provides employees with the peace of mind of knowing that they will continue to receive their regular wages, even if they are unable to work due to illness or injury. Employer's Liability Insurance: This insurance must be carried by all businesses that employ anyone outside of their immediate families (with the exception of a partner who holds at least a 50% interest in the business). It is in place to protect business owners form legal fees or compensatory payments due to damage that is caused by the business. Key Man Insurance: Day nurseries typically have one or two critical employees, so this type of insurance may be worth careful consideration. In the event that a crucial staff member (typically the owner or general manager of very small companies) becomes unable to work due to serious injury, illness, or death, a lump sum payment is made to the company to offset the loss.